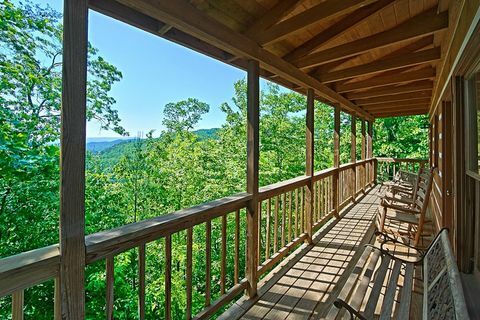 "Above The Clouds," a quaint, secluded cabin in the Smoky Mountains, gives guests a true Smoky Mountain vacation with wrap-around porches and gorgeous scenic views of the spectacular surrounding landscape! 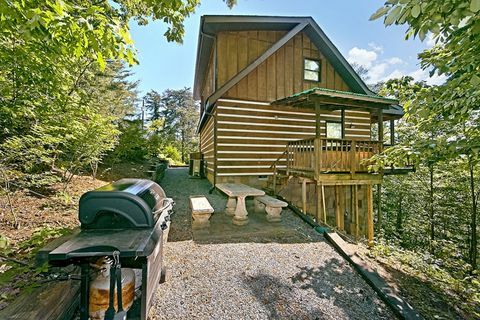 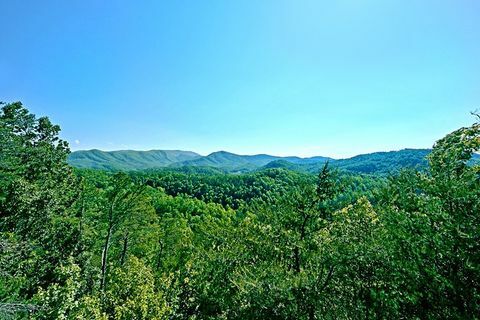 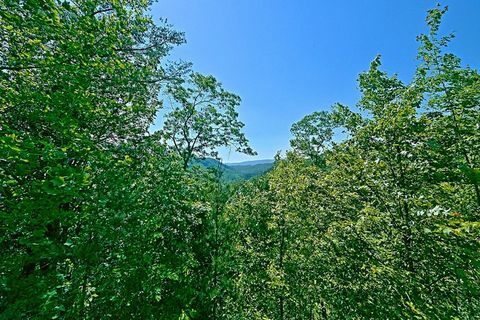 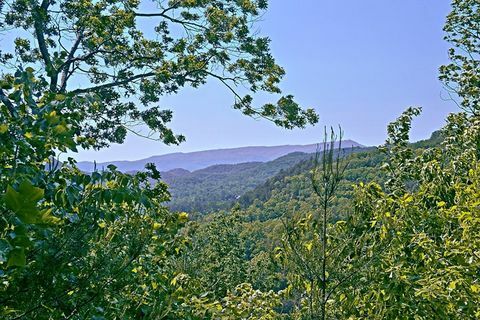 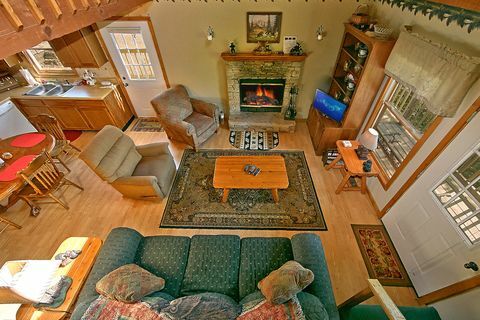 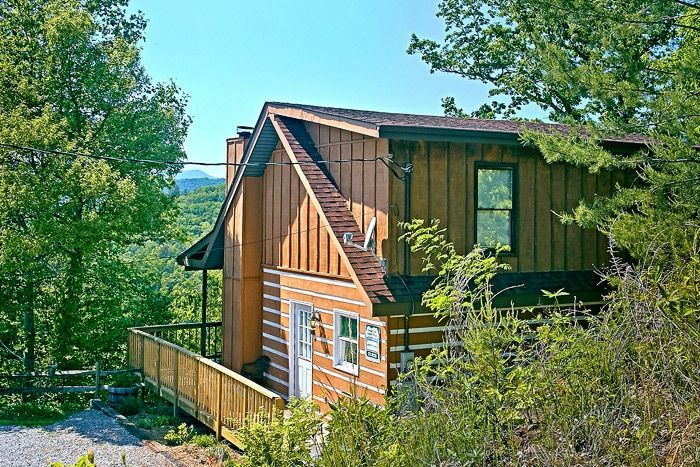 Enjoy this Smoky Mountain cabin rental's rustic country appeal and quick access to Gatlinburg or Downtown Pigeon Forge for the best of both worlds on your Smoky Mountain vacation. This 2-bedroom cabin in the Smoky Mountains provides plenty of sleeping space for up to 5 guests with a master king bedroom, queen bedroom, and a twin bed in the loft. 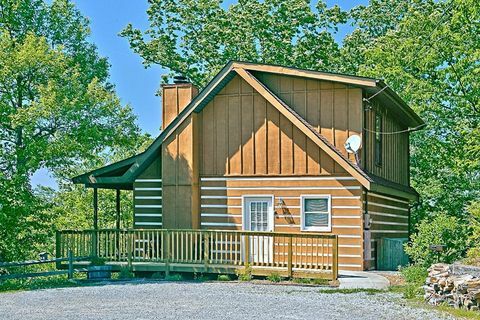 At "Above the Clouds", families save vacation dollars and packing space with the rental cabin's fully equipped kitchen, outdoor grill, and washer-dryer. 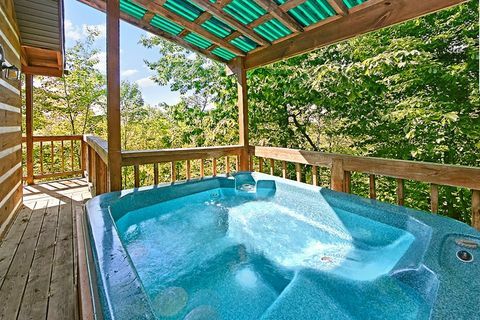 After a full day's adventure enjoying nearby Gatlinburg and Pigeon Forge attractions, return to this cabin in the Smoky Mountains for relaxing moments in the bubbling hot tub or cuddled up by the wood burning fireplace. 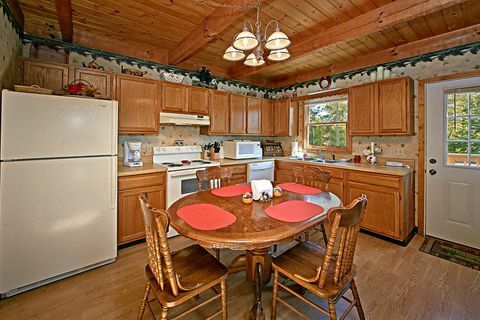 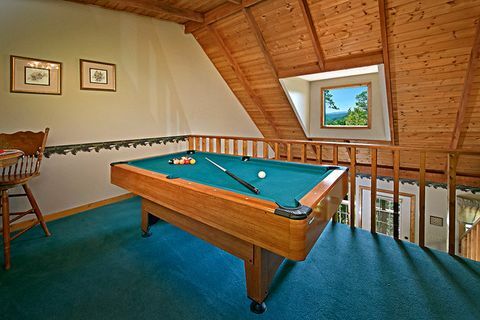 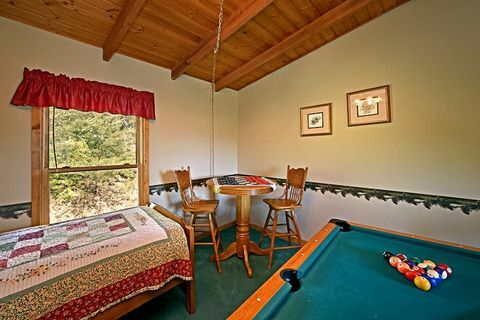 Additionally, this Smoky Mountain cabin rental's private picnic area, pool table, and game card table provide opportunities to spend quality time with those you hold dear. 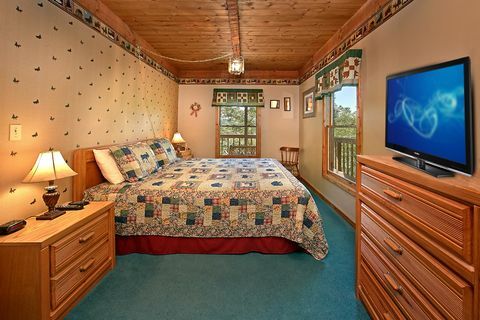 Searching for "cabin rentals Gatlinburg" yields numerous results. 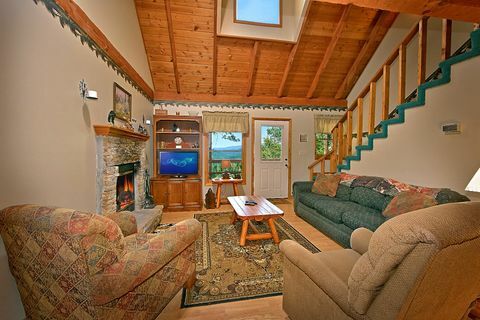 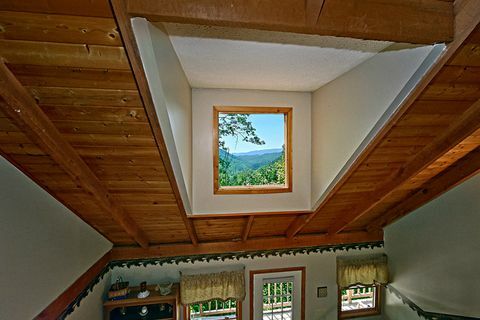 Find your perfect cabin in the Smoky Mountains right here at "Above the Clouds!" 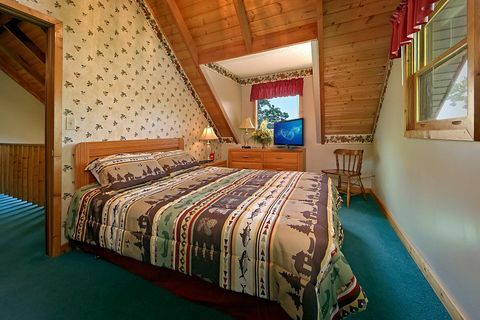 and stop your search today.